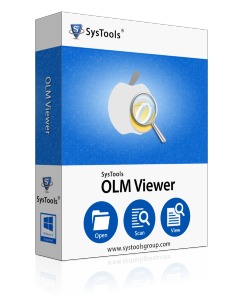 OLM Viewer Tool is compatible with Windows 10, 8.1, 8, 7, Vista, XP & below versions. What is an OLM file Extension: OLM file is a database file which is a part of Microsoft Outlook 2011 for Mac. A single database file can store whole data in Mac Outlook which includes email messages, contacts, journals, task, calendar data, etc. Mac Users can generate OLM file with the help of Export option of Outlook 2011. The Maximum size of OLM file is not defined but in general, the size of OLM file should not exceed above 2GB because if it exceeds, it may result in the corruption of OLM Database. The OLM File Viewer software allows a user to open and view more than one Mac OLM file along with associated attachments. Users have to browse and add OLM files one by one and then, the tool previews all the files at once. 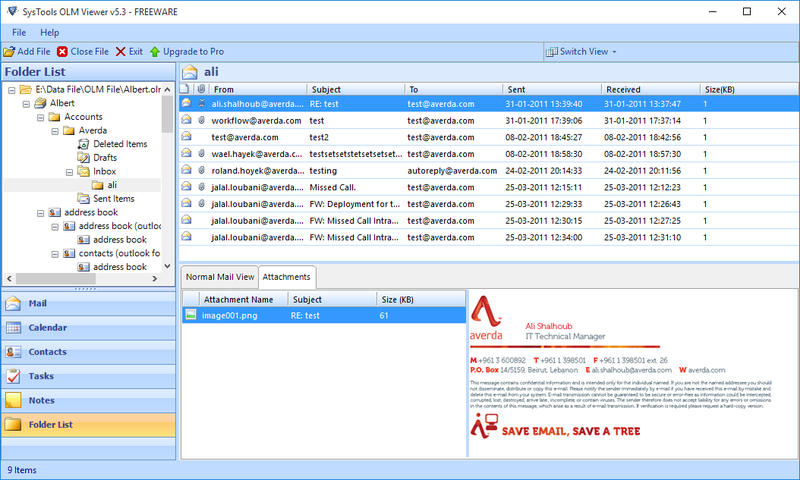 The Outlook 2011 Message Viewer Software previews complete data items of Mac OLM files which include Emails, Tasks, Calendars, Notes, etc. along with the corresponding attachments on Windows environment. By using the Mac Outlook OLM Viewer Tool, users can easily Open & View the Outlook 2011 OLM file outside the Mac Environment. It is a standalone tool which does not require the support of any other application. The OLM File Reader consists of a Search box which is so much advanced that a user can easily find out the desired items from large sized Mac Outlook OLM file quickly. With the OLM File Viewer Tool, one can easily open & view data items from OLM file of any size. A user will not experience any data loss while opening the file. The tool is enough reliable to retain complete meta attributes. OLM Viewer Tool is designed with a simple user interface that even a novice user can also understand and run the utility. Due to its automatic functions, a user may not find any complications while handing the tool. What is Mac Outlook and its data file? The Mac Outlook 2011 is a most commonly used desktop email client, which is developed by Microsoft only for Apple users. It's a Personal Information Manager which enables users to send and receive email messages on their Mac systems. Outlook 2011 is associated with multiple data items such as Calendaring, Contacts, Tasks, Notes, etc. User can also manage and access more than one email account on single desktop Window. Outlook 2011 Saves their all data in one database file. If we export that database file from Mac Outlook 2011, it will be exported as OLM file. OLM file extension is only supported only by Mac Outlook, no other operating systems support OLM file. The default location of Mac Outlook Database file varies according to the version of Outlook you are using. What happens when OLM file gets Corrupted? All the functions of Outlook for Mac depend on the OLM database file. If OLM file gets corrupted, Outlook stops responding, crashes suddenly, stops loading and even after the several attempts, Outlook will not open. In this situation, users can use the OLM file Viewer to scan and read the OLM file. How to view OLM file without Mac Outlook 2011? Scan Large sized OLM file without any Restriction. Give an Option to store scanned files within the Software for future reference. View the attachments of mail messages. Compatible with latest Windows Operating Systems. Advance Search Option to find required mail. The Trial Version of OLM Viewer Tool can only show the preview of OLM emails along with attachments, Contacts, Calendars, Tasks & Notes of Mac Outlook 2011, 2016 OLM file. Explain the working of Mac OLM Viewer Tool? Step 1: Install & run OLM File Viewer Tool. 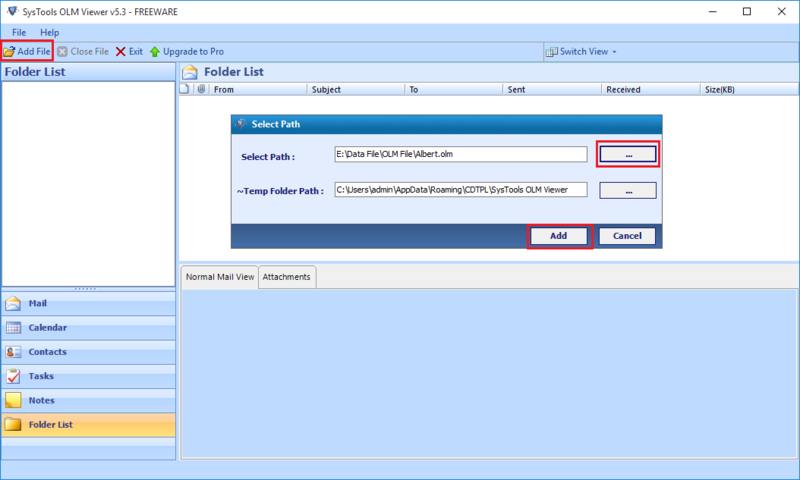 Step 2: Click on Add File and browse the OLM file from your system and add that file. Step 3: The software will scan the file completely and open all the contents from the OLM database file. Step 4: Now, you can view all the emails along with attachments in Normal Mail View and Attachments View. 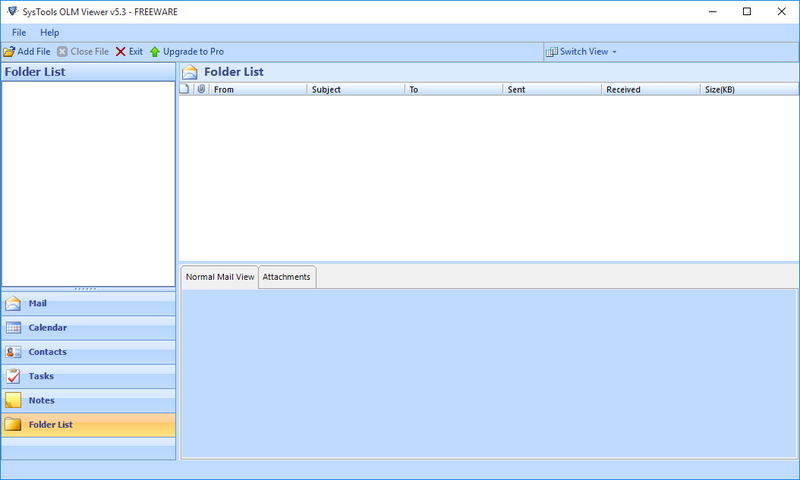 Step 5: You can also view mail, contacts, calendars, tasks, notes, folder list, etc through various tabs. Step 6: One can also switch view modes i.e Horizontal or Vertical View modes and search desired data items from the large file. Can I Open OLM file Without Mac Operating System? Yes, you can access all your OLM files without Mac environment, with the help of OLM File Viewer software. It is a Windows-based application that can quickly scan all the mails of OLM file and provides a preview of Mac mails. Does the tool scan and open corrupted OLM files? Yes, the OLM Viewer Tool can easily scan the corrupted as well as healthy OLM files and provides a preview of all the mails along with their attachments. What to do, if I need assistance to operate the software? Don't Worry about the assistance. Our assistance team is working 24*7, you can give a call to our office numbers or you can chat with our team members. Can I use OLM File Viewer on Mac Operating System? No, OLM Message Viewer is a Windows-based solution which can be used to open and view OLM file in only Windows Operating System. Is downloading of the software is free? Yes, it's free. The OLM Viewer software is available free of cost. You can easily download it from our website and install it on your machine. "Suddenly I got an urgent need to read my old OLM file on my Windows PC, but the OLM file is not accessible in Windows then I got to know about OLM File Viewer Tool, Which provides a preview of all the OLM mails free of cost. I used OLM Viewer Tool, and it is very helpful and user-friendly." "OLM File Viewer is a great software to view unlimited number of OLM files. It provides full mail view along with their attachments on Windows platform without charging any kind of cost, yes its free. I am very thankful to the Outlook 2011 Message Viewer!" "The interface of OLM Viewer Tool is very simple and user-friendly. I am a non-technical person and I don't know how to view OLM file on Windows platform. Then, one of my friends suggested me to use this free tool. The application was simple to operate and at last, I got to read all OLM emails in a very less time." 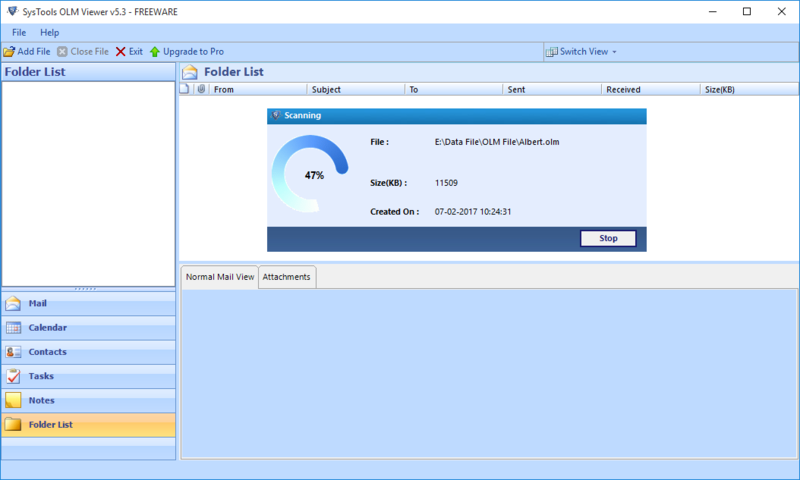 "I must say that the OLM File Viewer tool by FreeViewer is a great utility for all those who are looking for a solution to open and read Mac Outlook 2011 and 2016 OLM files on Windows Operating system. OLM Viewer Tool is a very nice utility as it is compatible with Windows 10 and all the below versions. Keep it Up!